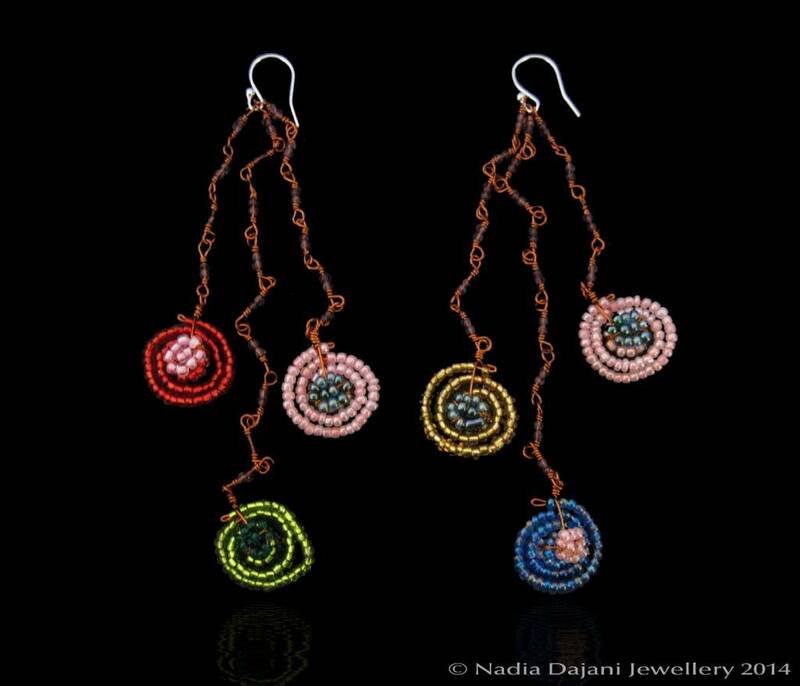 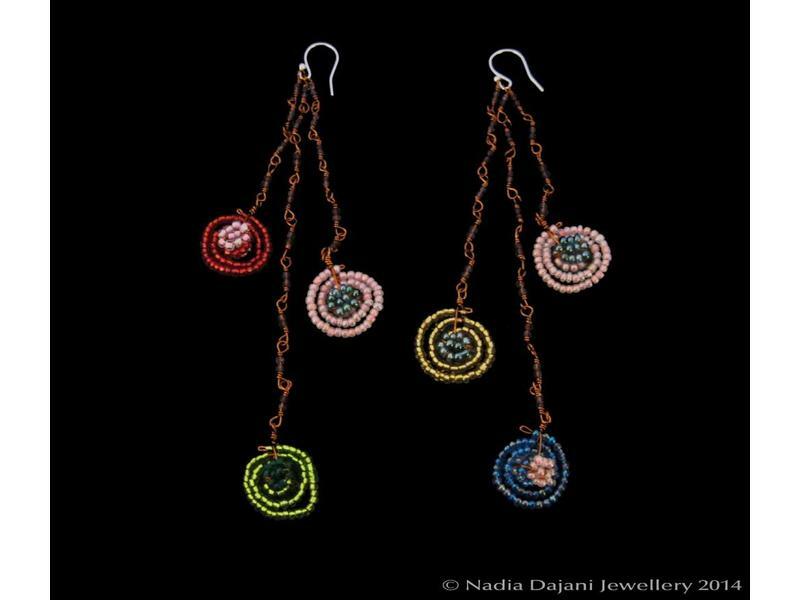 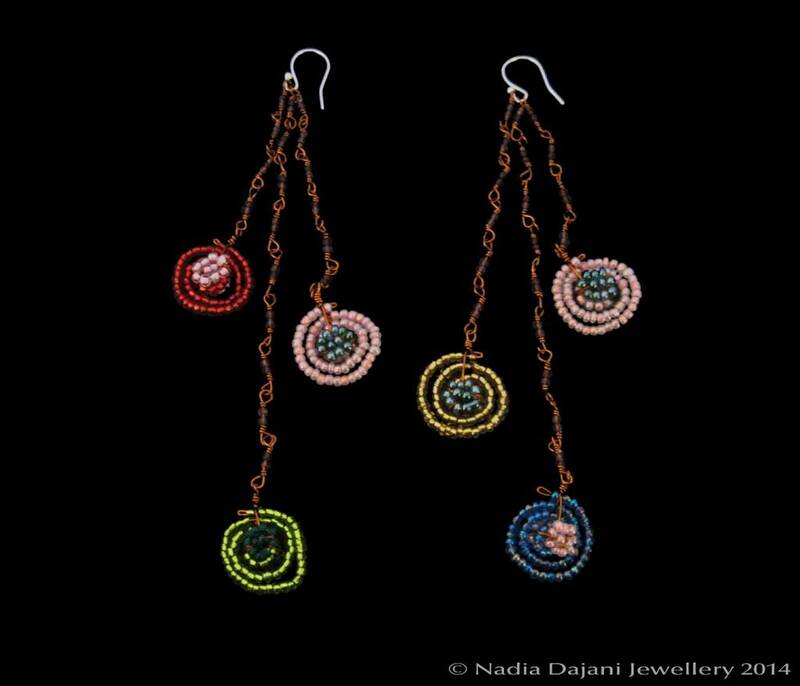 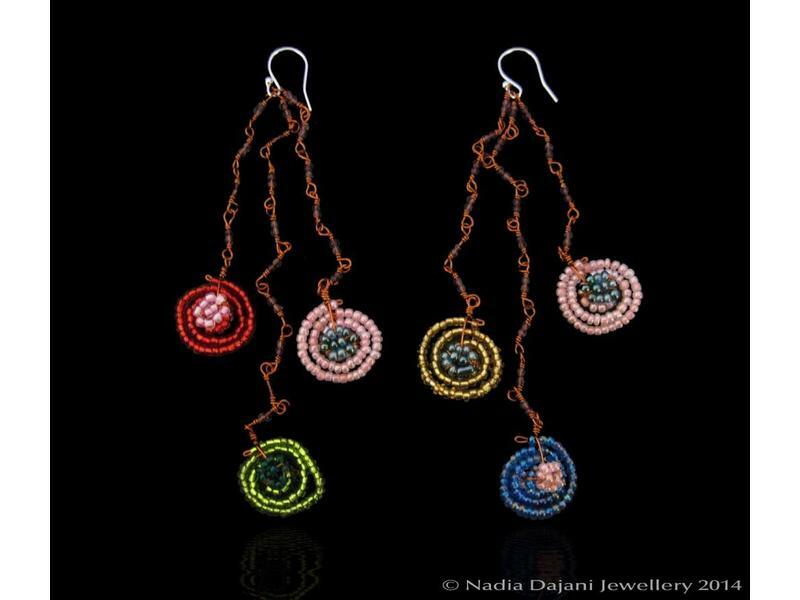 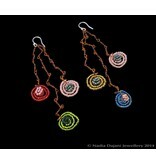 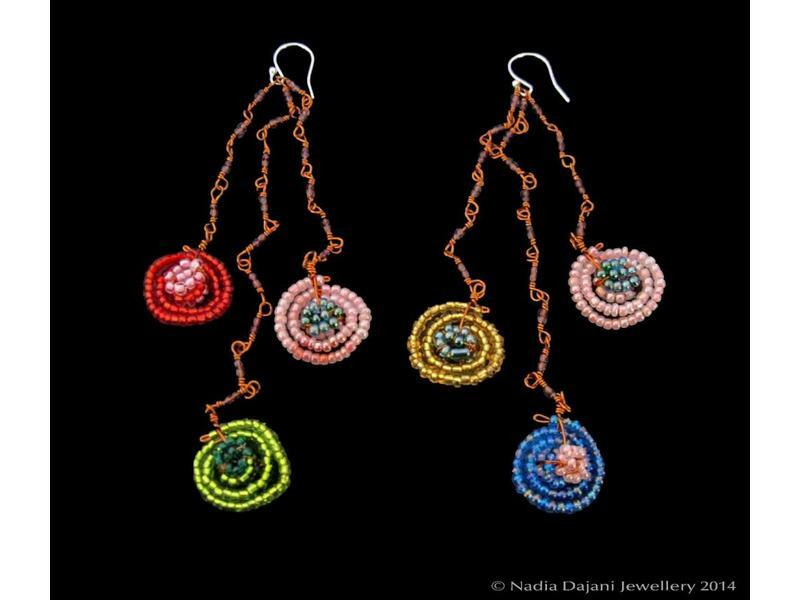 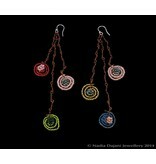 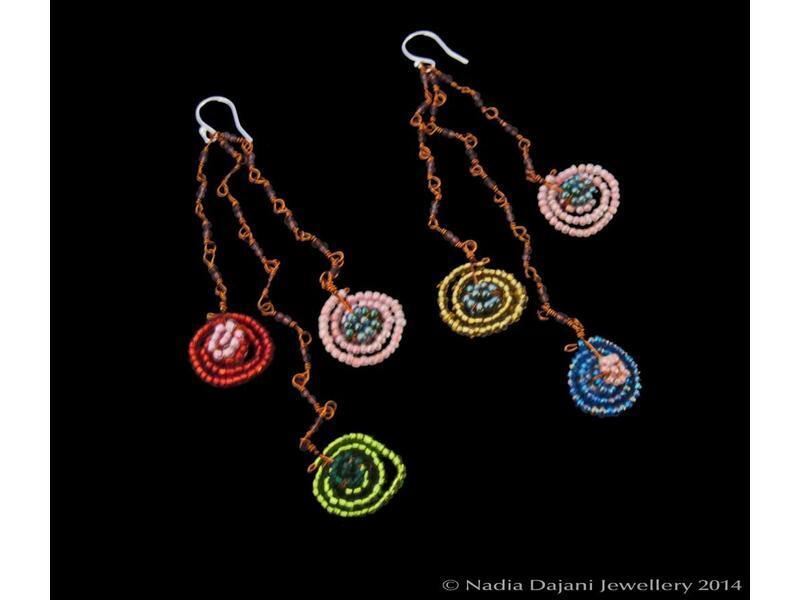 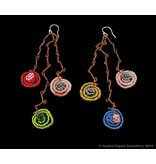 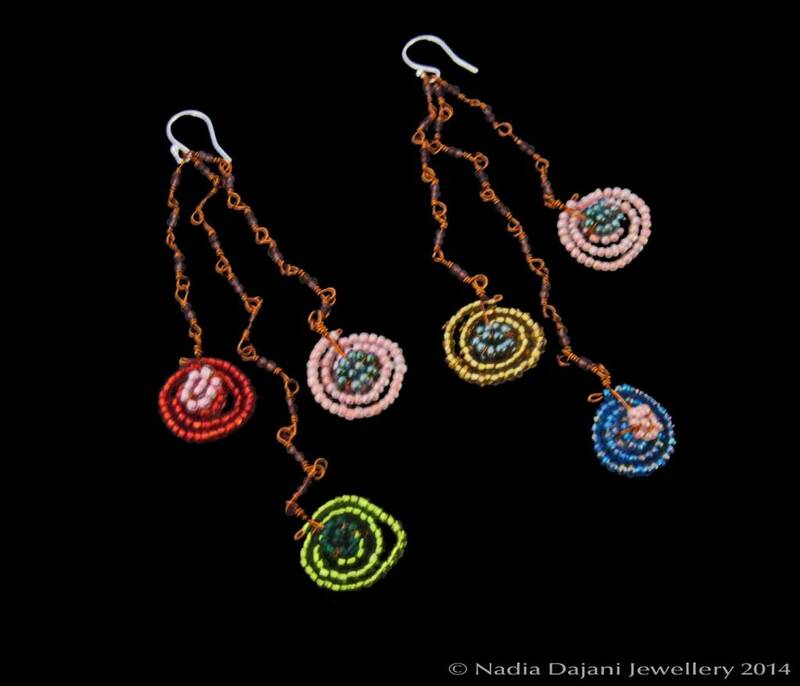 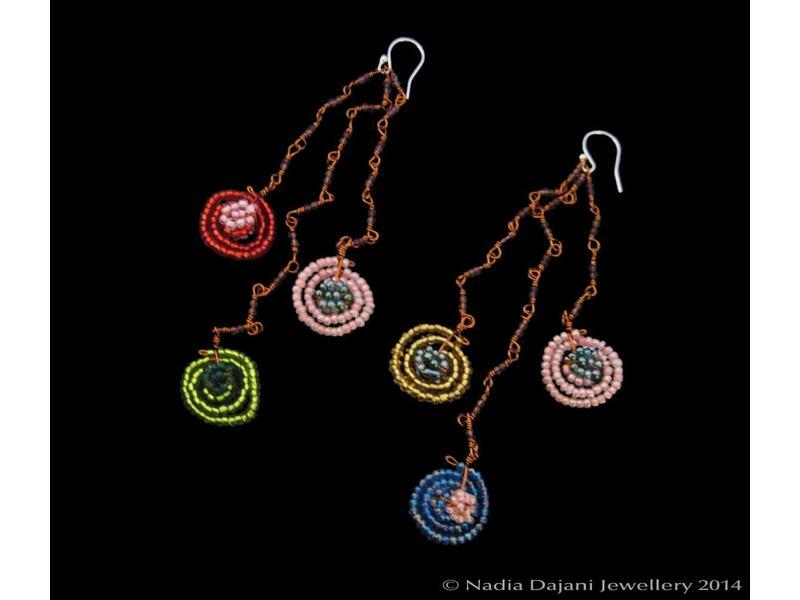 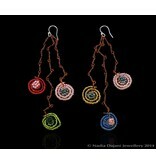 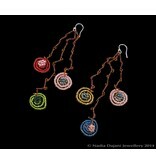 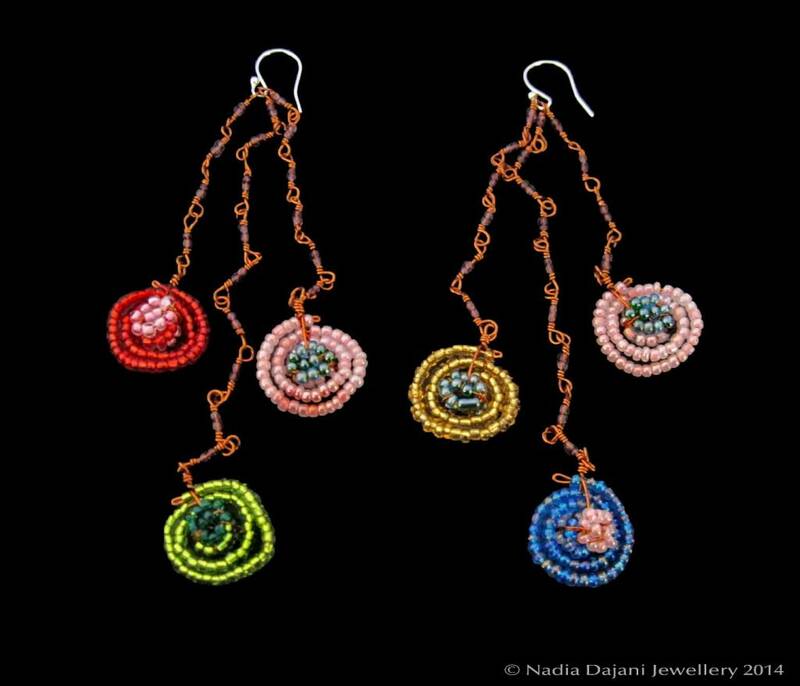 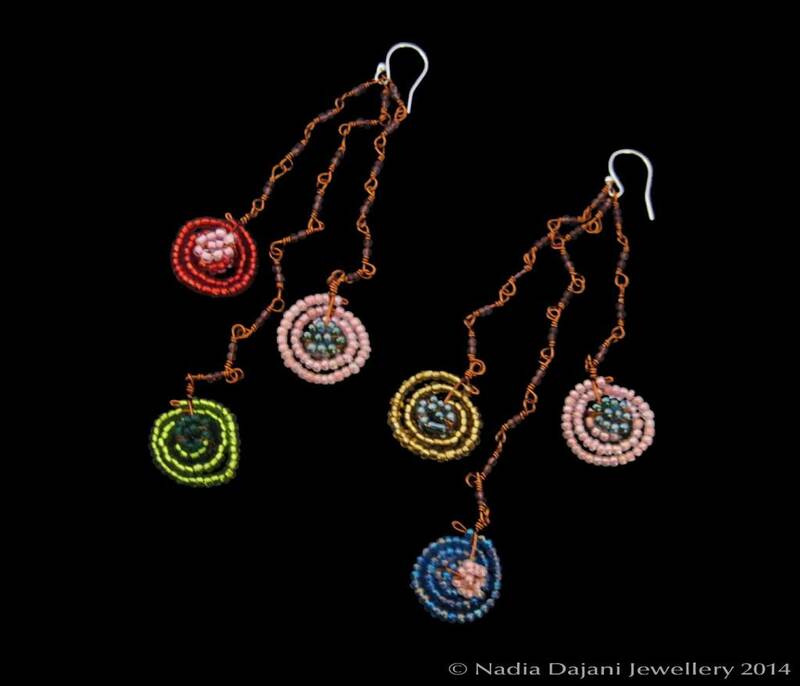 Glass beads made into swirl earrings, attached with copper wire, and made in a combination of colours. 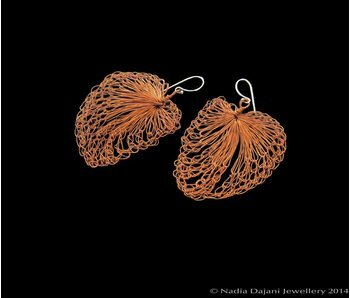 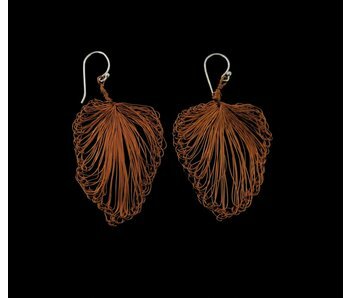 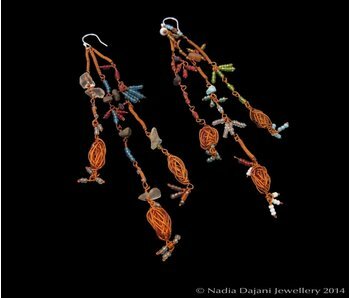 Fine copper wires handworked with crochet needles into a leaf shape. 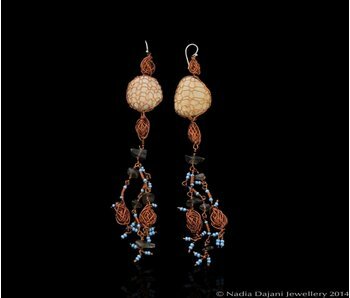 Dead Sea pebble covered with copper wire with a tassel of gemstones.